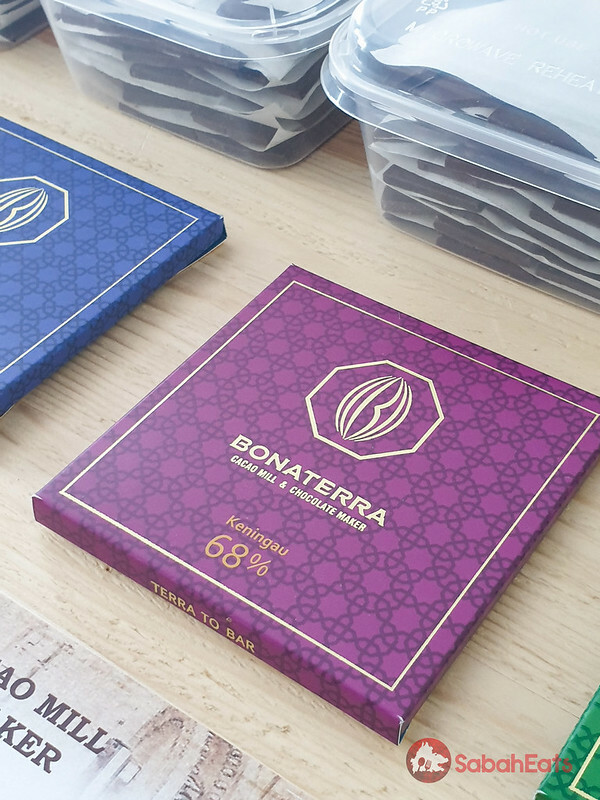 Beans to bar artisan chocolates, handcrafted chocolates have been gaining popularity for the past few years. 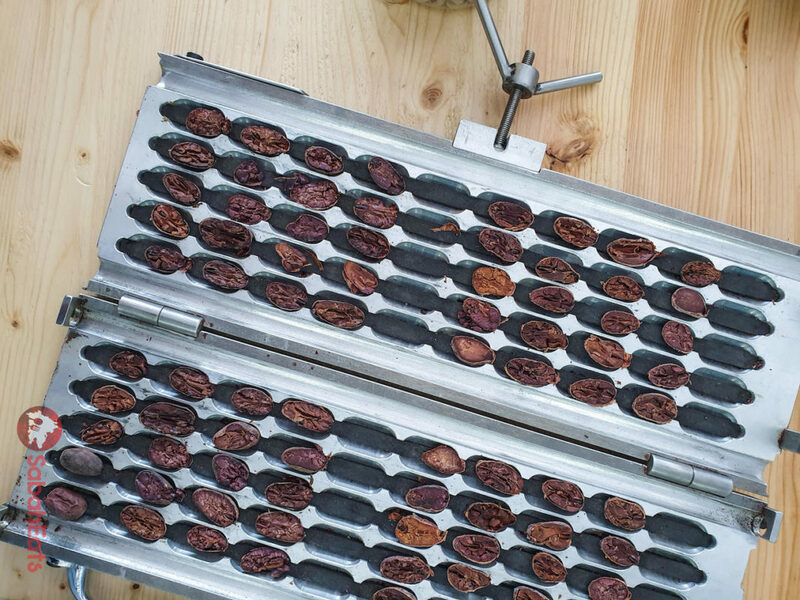 Bean-to-bar chocolate makers take cacao beans, make chocolate, and create the chocolate bars and products we love. That’s different from a chocolatier who takes already-made chocolate and turns it into delicious confections. 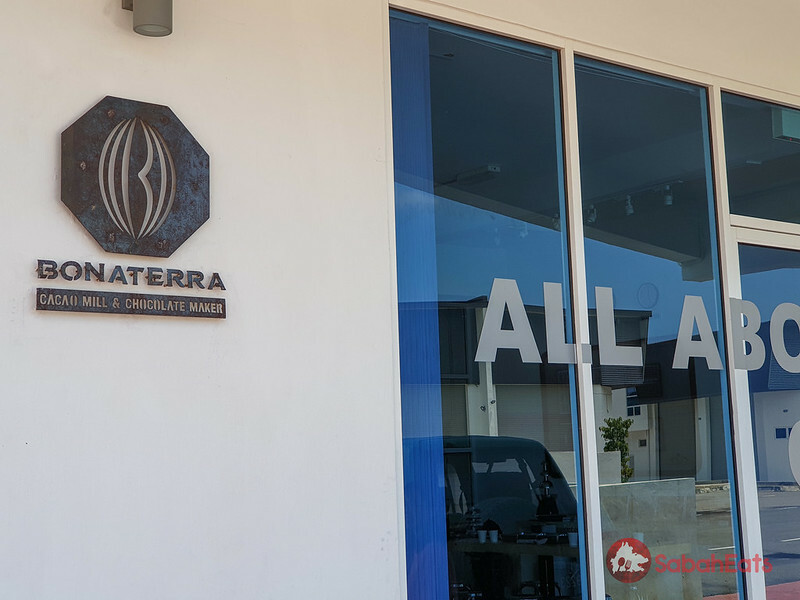 Bonaterra Cacao Mill and Chocolate Maker is one of the pioneer beans to bar chocolate maker in Sabah. 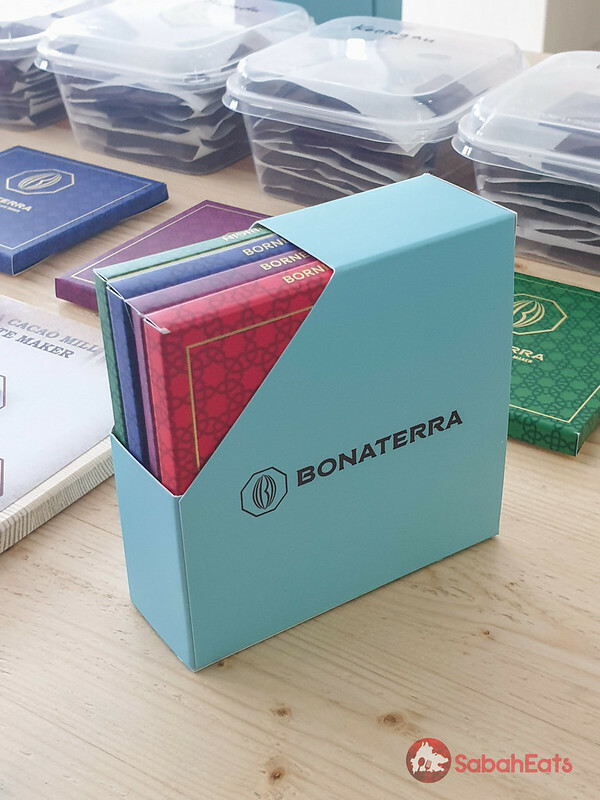 Bonaterra (“good earth”) chocolate factory is located at Bandar Sierra (besides Grand Merdeka mall) and started by Eddie, a Korean who resides in Sabah for more than 10 years. 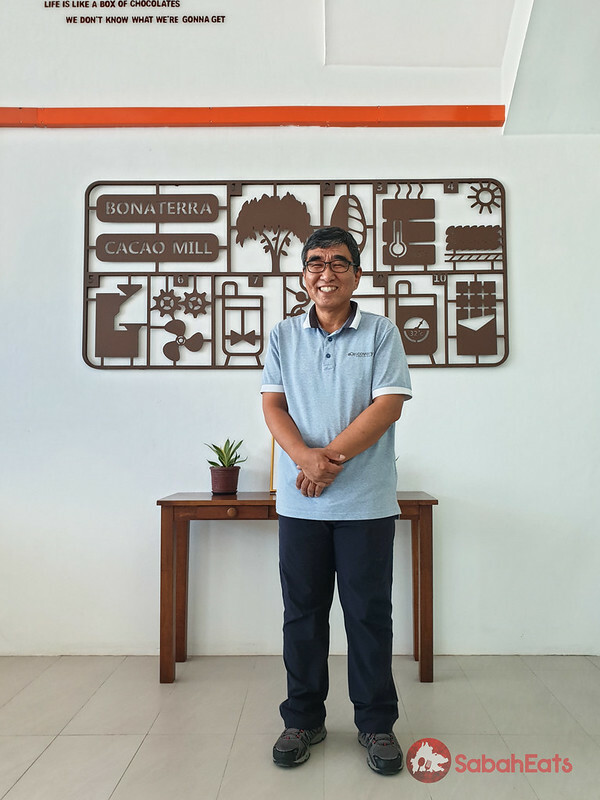 Eddie found the cacao beans in Sabah is very high in quality and he uses exclusively cacao beans in Sabah at Bonaterra. There are 4 chocolates using different beans from the different part of Sabah. 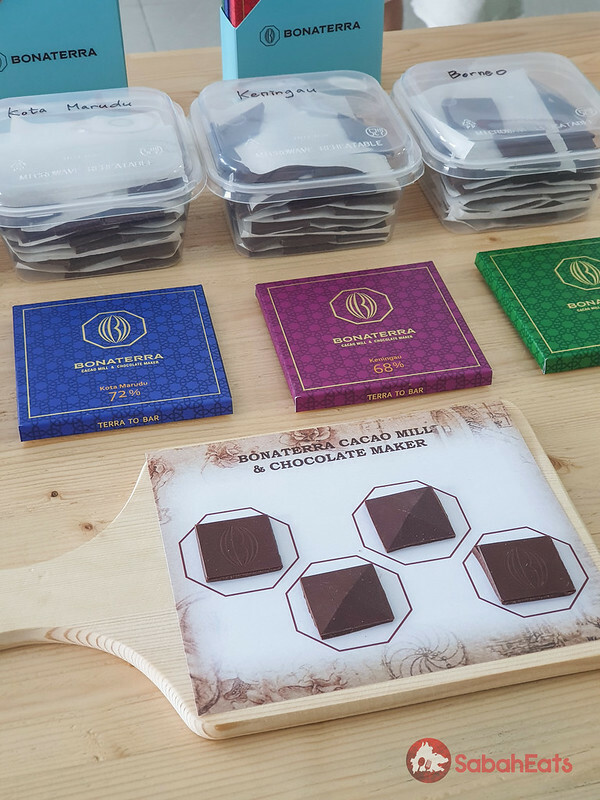 The 4 types of chocolates are Kota Marudu chocolate, Tawau Chocolate, Keningau chocolate, and Borneo chocolate. 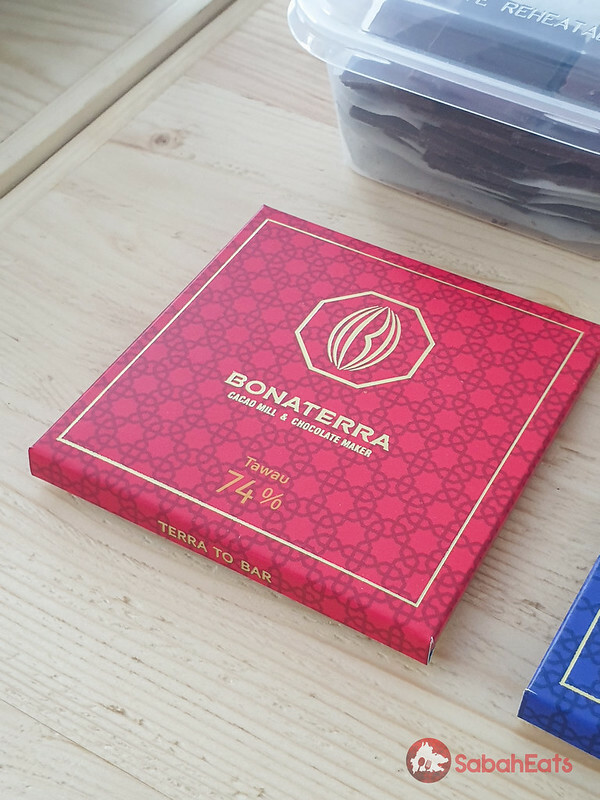 A pack of 4 Bonaterra chocolate bar, a perfect souvenir from Borneo. 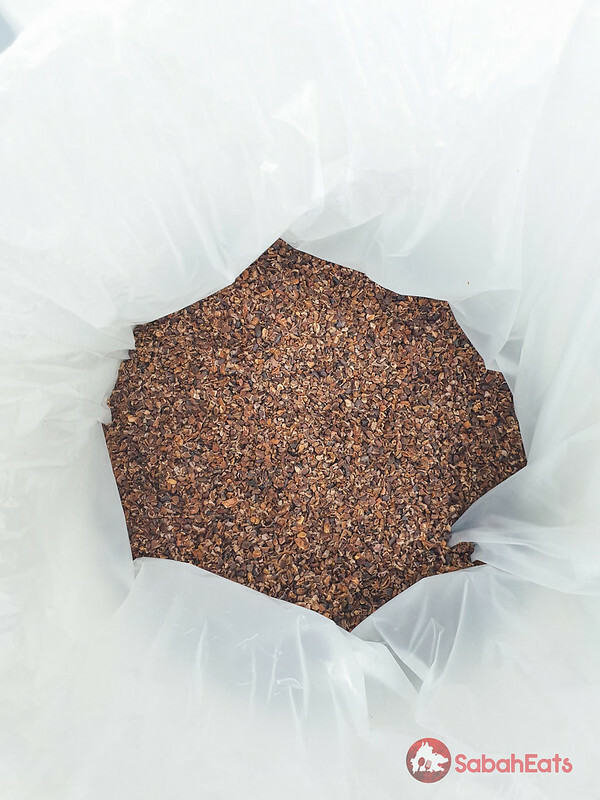 Chocolate is one of the few foods that is both fermented and roasted, two processes that create interesting flavor notes. 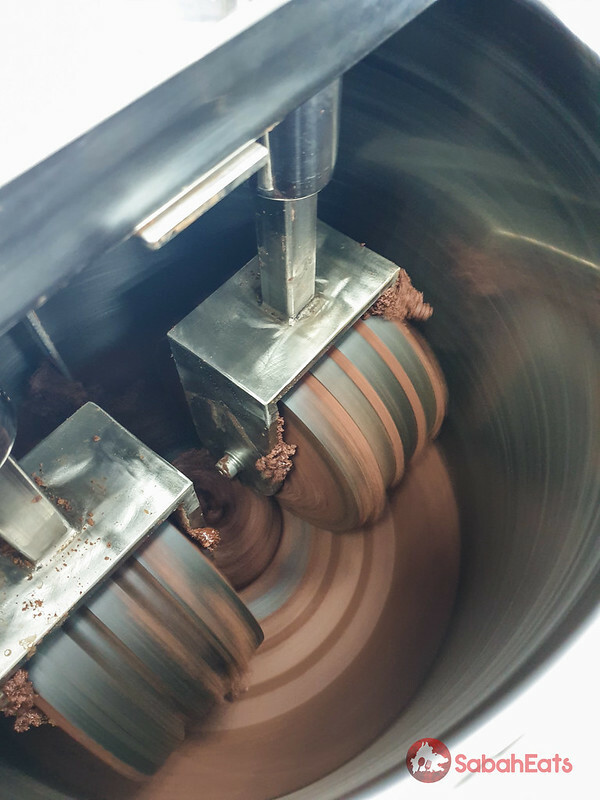 It can have more complexity than wine, but as most companies will try to remove these nuances for the sake of consistency and cost, many people have never experienced chocolate’s full potential. Before there can be a bar there is a bean. Bean to bar chocolate begins with the cacao bean. 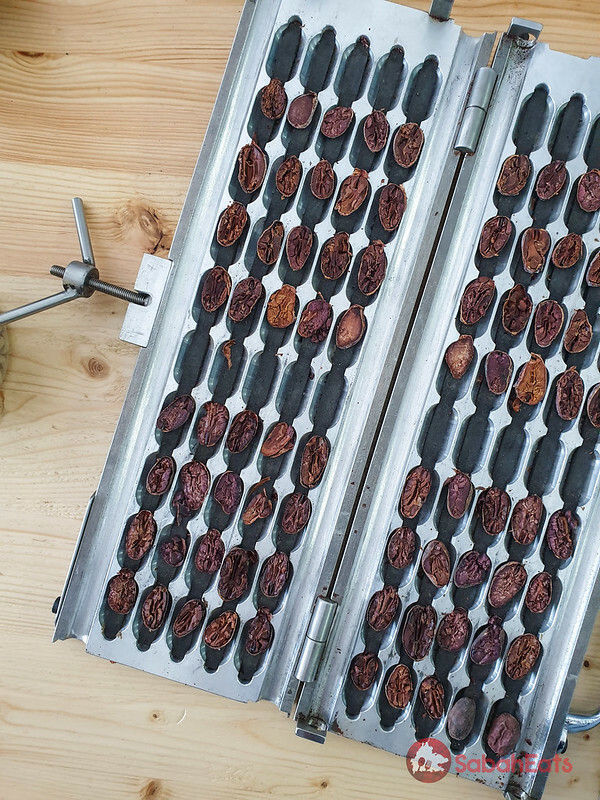 Cacao beans are chosen and taken through every step of the chocolate-making process. 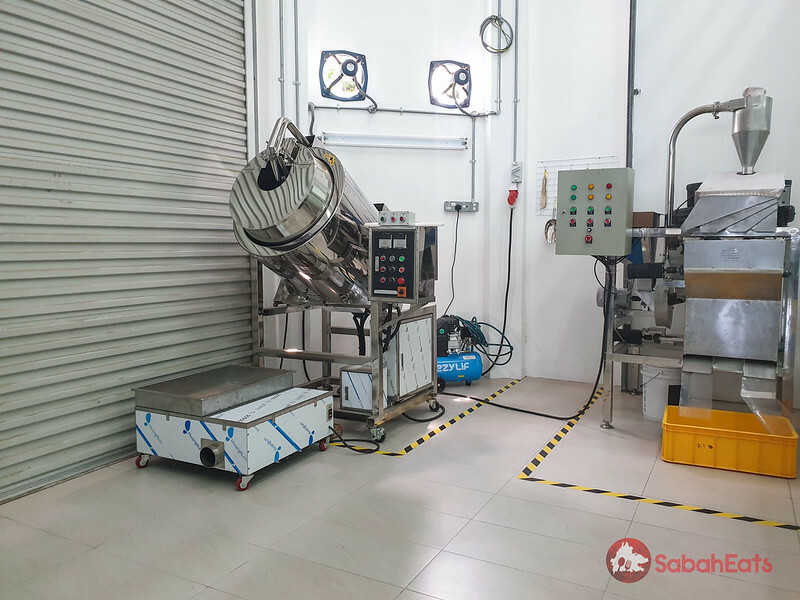 The beans are sorted to remove debris or misshapen beans, then roasted. After cooling the whole beans are cracked & winnowed into nibs. 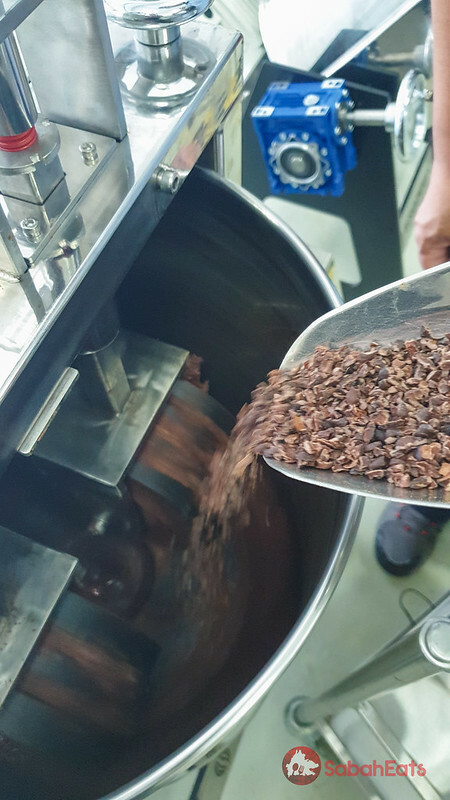 The nibs are then ground into a liquid paste called chocolate liquor. only sugar and cacao beans are added. 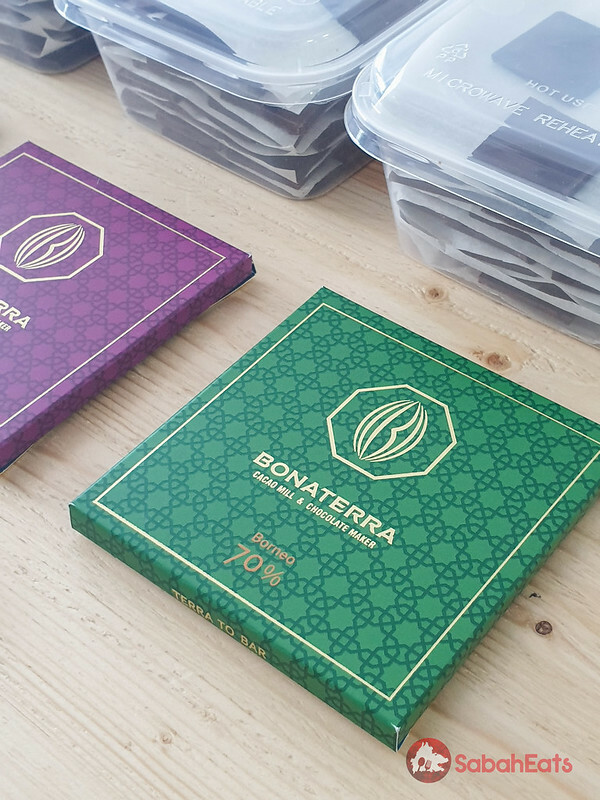 The amount of other ingredients determines the chocolate percentage; the higher that number, the higher the total amount of cocoa bean in relation to the other ingredients. A 100% chocolate has only cocoa beans, while a 74% two-ingredient chocolate has 74% cocoa beans and 26% sugar. 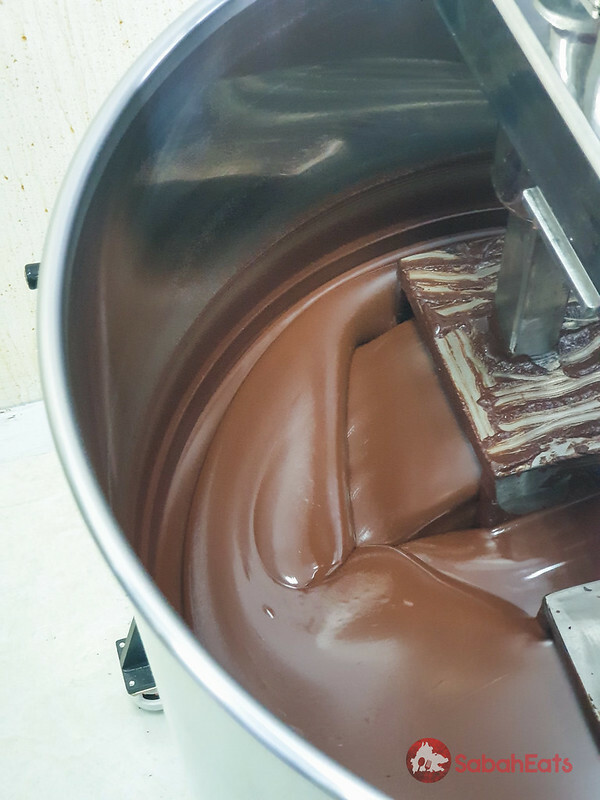 The formulation depends 100% on the chocolate maker. 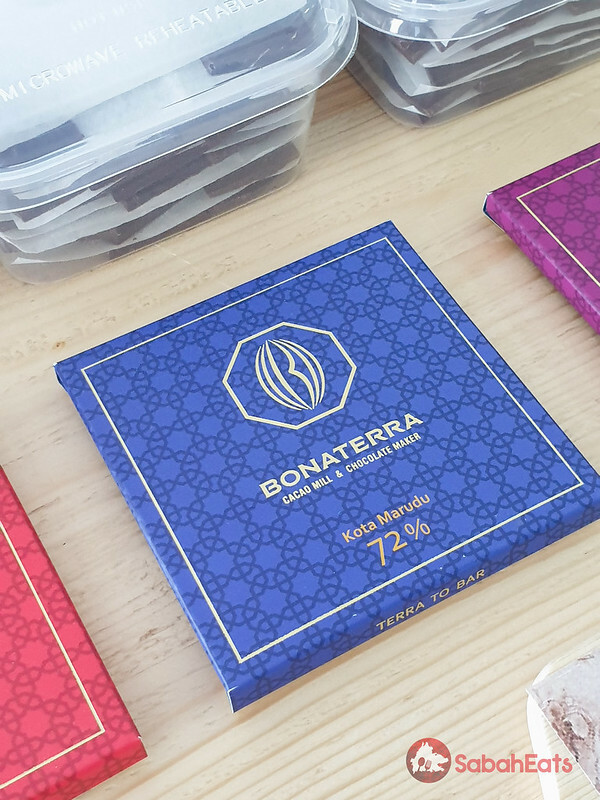 It’s an exciting time in the world of bean-to-bar chocolate, for both makers that are continuously working to make their product better and for a receptive market of consumers who are willing to spend more money on quality small-batch products, particularly when the cacao is grown locally in Sabah. 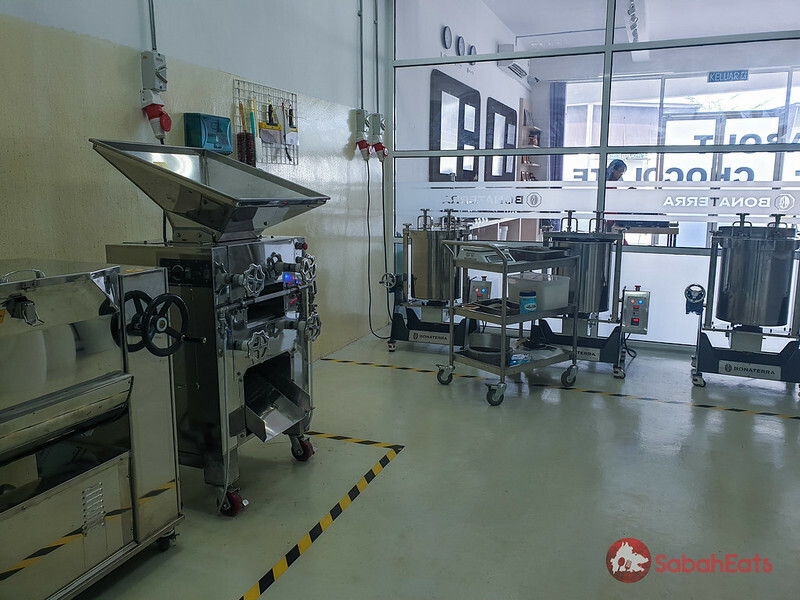 If you are interested to know more about Sabah’s first Bean to Bar Chocolate maker, visit Bonaterra Cacao Mill and Chocolate Maker and learn for yourself how high-quality chocolate is made.